Clean the wound with soap and water, and seek medical attention immediately. A tetanus shot and/or antibiotics may be given. Human rabies shots will not be started immediately. The bite should be reported as soon as possible to the Big Horn County Public Health Department at 665-8720. Provide authorities with an accurate description of the animal, the circumstances surrounding the bite, where the incident occurred, and the animal owner’s name, if known. The Public Health Department will use this information to contact the owner, determine whether the animal has been vaccinated for rabies and if the immunization is current. Regardless of vaccination status, the animal will be quarantined for ten days during which it will be observed by professionals for signs and symptoms of rabies. If at the end of the ten days, the animal remains healthy and behaves in a normal manner, it is reasonable to assume it does not have rabies. However, if during the ten day period, the animal displays abnormal behavior, illness or death, laboratory testing must be done. In order to perform this test, the animal must be killed. If it is a wild animal or a stray, every effort must be made to capture it, for immediate testing. Capturing a wild animal or a stray dog or cat may require assistance from local law enforcement. Animals in Big Horn County are tested by the State diagnostic Laboratory in Bozeman. If the test is positive, the person who is bitten will need to get the rabies shots. There are two kinds of shots given to humans for rabies. The actual rabies vaccines require 7 to 10 days to take effect. Because of this delay, the patient will also receive a “rabies immune globulin” shot along with the first rabies shot. The rabies immune globulin shot provides fast protection, which is essential while the patient waits for the rabies vaccine to become effective. The rabies immune globulin works quickly, but its effects only last about 21 days. By then, the patient will be adequately protected by the rabies vaccine, which is believed to provide immunity for two years. The shots are given in the deltoid (shoulder), except in the case of very young children, who will be injected in the front part of their upper leg. Initially, the rabies immune globulin shot will be given in one shoulder, and the rabies vaccine will be given in the other shoulder. After these first two shots, only the rabies vaccine will be given, making a total of six shots: one rabies immune globulin shot, and five rabies vaccine shots. These occur on day 1, day 3, day 7, day 14, and day 28. What if I refuse the shots? It usually takes humans 4 to 6 weeks from the time of the bite until they become ill. Without being vaccinated, death is almost certain. Symptoms include anxiety, paralysis and seizures which progress rapidly until the person dies. Between 1990 and 2001, in the United States, 35 people have died from rabies. What if I can not afford the shots? The full series of shots costs about $1000. Insurance normally pays for this treatment. If not, and if you can not afford the expense, let your care provider know. 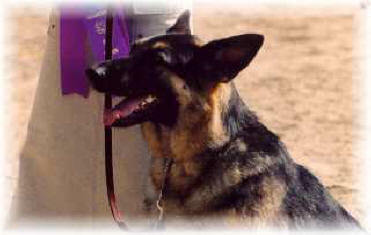 There are programs available to cover the cost of human rabies shots when necessary. Your doctor or the Public Health staff can help you make these arrangements. If you believe a dog or any animal is about to attack you, try to place something between yourself and the animal, such as a backpack or a bicycle. Young children should always be supervised by an adult when playing with any dog. Children should tell an adult if they see a stray animal, or an animal behaving strangely. The adult should then report this to the Public Health Department or the Sheriffs Department. Don’t disturb a dog or a cat that is sleeping, eating or caring for its babies. Infants should never be left alone with any dog, not even the family pet. Never reach into a parked vehicle to pet an unfamiliar dog or cat. Likewise, a dog left in the back of a pickup truck will probably attempt to protect that truck, so stay clear. If bitten, seek medical care at once. Also, report the bite to the Public Health Department as soon as possible.